THE scientific inquiry into fracking in WA report will only be made public once the McGowan Government has considered its findings and recommendations. Completion of the report, which was handed to the government on Wednesday, September 12, has led to Lock the Gate Alliance to call for the report to be released to the public without delay. 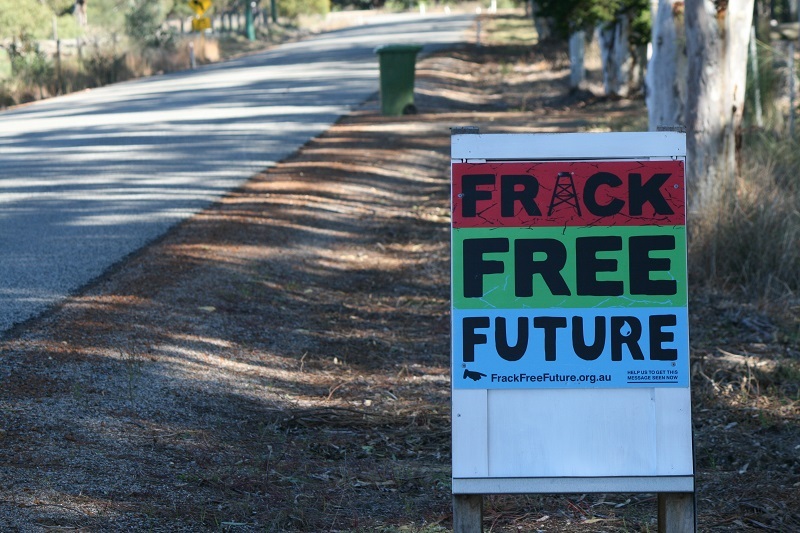 Anti-frackers are continuing to campaign around the state collecting signatures on a petition they plan to present to Parliament on Thursday, October 11. The government announced an independent scientific panel inquiry into hydraulic fracture stimulation in Western Australia and appointed an independent panel of experts, under provisions of the Environmental Protection Act 1986, to report on the potential impacts arising from the implementation of hydraulic fracture stimulation on the onshore environment of Western Australia, outside of the Perth metropolitan, Peel and South-West regions on September 5 last year. In May last year in Western Australia’s Tight Gas Industry – A review of groundwater and environmental risks Ryan Vogwill said in areas set aside for conservation or public drinking water source protection, it was advisable to exclude all tight gas activities. “Even if economically viable deposits are found in those areas, extracting them would pose an unacceptable risk based on the issues explored herein. “There are current exploration leases over Gnangara Mound, Perth’s most important groundwater resource, for example. Dr Vogwill said it should be required that groundwater take be licensed and impact assessed, particularly given the risk of impact from water supply and tight gas wells in the proclaimed groundwater areas of the northern Perth and Canning basins. “The Department of Mines and Petroleum (2015) states that it only may require licensing,’’ he said. He also recommended modifying the Western Australian regulatory environment to incorporate the issues around drilling, monitoring, project approvals and cumulative impacts. The scientific inquiry into fracking in WA website includes comments from some people in support of the fracking industry who attended the inquiry’s public meetings held in Perth in February this year. One comment said when you see maps in the terms of reference people think that it’s an enormous area that is all going to be fracked. “This is not the case – impact environmentally is constrained and contained,’’ one comment said. “Small pad sizes 150sqm can drill 20-30 wells from one location. Risks of scale are low – starts with small scale to prove project. Another comment said environmental management plans and monitoring are constructive and adequate for fracking to continue, the current Department of Mines, Industry Regulation and Safety regulations are fine (as) demonstrated by experience of Dongara and Eneabba field, Woodada well, Senecia well. A third comment said a scientific risk analysis by geologist and petro-physicist in the industry who has worked worldwide (had) never seen conformance issues, never seen impacts outside zone of design, no evidence to suggest cross flow, industry best practice procedures are well established (and the inquiry) should not just focus on Western Australia as world experience has a lot to inform this process. Lock the Gate WA spokeswoman Jane Hammond said the findings of the fracking inquiry should be open to debate and public discussion prior to any decision being made by the state government on lifting the current fracking moratorium covering much of the state. “The current moratorium is not due to expire until June 2020 so let’s see the report and have a full and open public debate on this issue,’’ she said.